For some reason we cant upload the new pics we took in Russia, so we only have Finland ones. . . 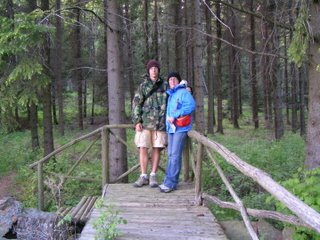 This is Jenn and Romy while we were hiking on the Aland islands. It was cold!!!! In Siberia, it is very very hot right now. About 90 degrees F.